Jaap van der Beek walks amongst his fields of tulips in Middenmeer, the Netherlands. 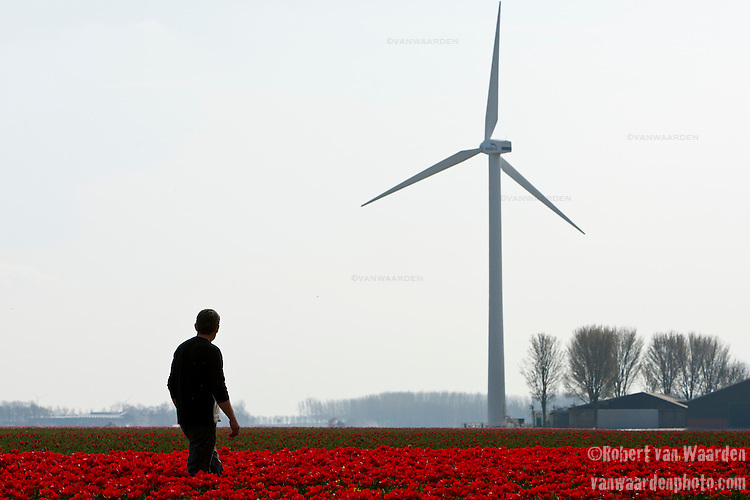 Jaap van der Beek, pilot, wind farmer and farmer in Middenmeer, Holland. Mr. van der Beek owns one windmill on his property. Sensitive to recent decisions to try and group wind mills together from a government level, van der Beek is currently working with other wind mill owners in North Holland to secure a location for a collection of windmills. Until that time, van der Beek will continue to fly his plane and farm his tulips as the windmill powers him and hundreds of other homes.